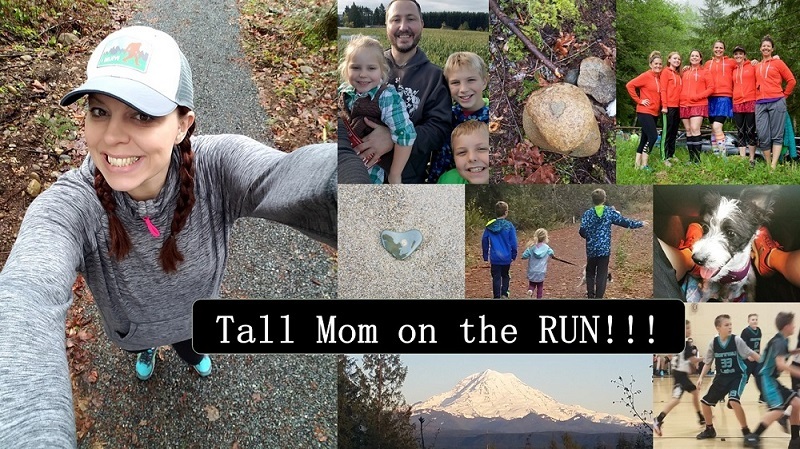 Tall Mom on the RUN: Where do you find IT? A Boston green shirt with matching socks? Girl, you found it! I have lost it a little bit since I have been injured and I keep feeling slight pain whenever I try to run. 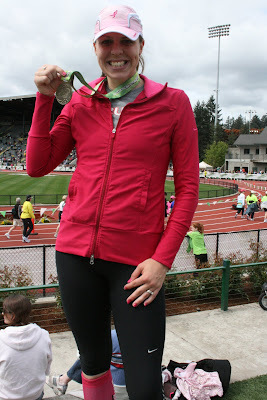 I'm hoping that signing up for our first marathon and starting some training plans soon will help bring it back. I still love running though! I keep losing IT during injury recovery, I get so afraid of reinjuring myself. I found IT again when I picked my goal for 2012. 12 half marathons in 2012 is hard enough that it will be a challenge, but I know that I can walk every half marathon if I need to. And it gives me my own goal that doesn't make me feel like I somehow have to compete with my ultra running husband's amazing achievements. Another thing that has helped me find IT is to be encouraging of those around me. Every time I go to the gym I try to compliment someone else there. A quick "cute top" or "looks like you had an awesome workout" makes me look like a creep but still puts a smile on people's face and makes the gym seem less lonely. Also, I am loving your outfits! So bright! I love it! I'm at 577 and you are at 7!!! love those numbers!! Congrats on your streak and the next 24 days of it. Glad to read that old running spark is back. Your December challenge is helping to motivate runners to do it every day...gave you got an unexpected boost from it too! So glad that you found IT!! Your excitement excites me! Great! So happy for you. I found IT this past summer. At the beginning of June I slipped and fell- bad fall- got to ride in an ambulance. I was off running for the month of June. Then my dad was diagnosed with B-cell lymphoma (luckily just on his right side of his neck- no bone marrow or mets). Both of these events stunned me and made me really be grateful about being healthy and able. I stopped bitching about running/training/long runs and really embrassed IT. So glad you have found IT again. You have motivated a lot of people to run and you should give yourself a big pat on the back for that. Enjoy the rest of Dec challenge. Glad you found IT & fabulous outfit!!! I'm looking for IT. I lost IT after spending 4 days in the hospital in August. Great Post! I really enjoyed reading how your found IT again! After years of not running, I've found IT again! Also - what brand is your friend's black and white long sleeve running bolero - it looks fabulous!! I completely understand this post. I lost it on Oct 10, 2010. I left it in Portland, maybe I even left it in Tacoma on 10-9-10. I have been searching for it and had glimmers, like you mentioned, then lost even those glimmers on 10-5-11. Now I am struggling, fighting to cling to the tiny bit I have left.....I wont let go completely but sometimes I want to....And thanks to friends and specifically YOU I have had glimmers, tiny sparks that work their way into my system....I can't give up. I am so SO glad you have found IT again!!!! I can see it in your dimples!!! =) LOVE IT! I'm glad to know that you're on the up swing. I'm also on my journey back to finding "IT." I know about when and where I lost it, but it sure has taken a long time to get it back.